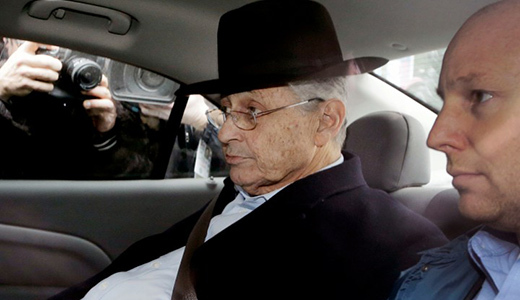 NEW YORK – The recent arrest of Sheldon Silver the powerful speaker of the Democratic-dominated New York State Assembly is only the latest in a series of events that has raised the volume on calls for ethics and political reform in New York State. New York Gov. Cuomo has said he will hold up budget negotiations if the state legislature doesn’t approve measures that would “disclose to the public all the outside income lawmakerst receive, from whom, for what and whether there is any connection to the state government or the office that they hold.” Historically state legislators have been considered part-time ‘citizen-legislators’ – many having income outside their legislative salary. Former Speaker Silver’s arrest stems from approximately $6 million he received from law firms he was associated with. Cuomo’s recent proposals include, full disclosure of all outside income, politicians convicted of corruption would forfeit their state pensions, greater restrictions on per-diems and campaign finance reform. “Public finance is the only option to ensure democratic access to the system,” Cuomo said at a recent talk at New York University. But Cuomo has also faced criticism that earlier attempts he made at ethics reform have fallen short, including the establishment of the Moreland Commission, tasked with investigating corruption in state government that he disbanded before it had completed its work. His decision to shut-down the commission is now being investigated by federal prosecutors. Commission files now in the hands of the U.S. District Attorney led to the arrest of Silver. Before it was disbanded the Moreland Commission’s main proposal to end corruption in politics was the establishment of a robust system of public financing of elections and many have renewed that call in wake of the recent scandals urging Governor Cuomo, whose proposed budget currently includes public financing, to not bow to pressure to remove it. Many have also called for an end to outside income for state legislators. Both reforms are viewed as fundamental if corruption and corporate-influence on politics in New York state are to be addressed. Many have viewed with scepticism the state government’s ability to reform itself with a governor who himself has close ties with corporate donors and a Republican-controlled state senate that has vigorously resisted progressive reforms. But public disgust is high and U.S. District Attorney Preet Bharara, whose office arrested Silver, hinted at more to come.